Investigate an incident in the cold arctic to retrieve xd143 with cargo. I hope you dont have to go anywhere. This RPG game could take up to an hour to beat! Explore the world and go head to head in RPG style fights taking turns back and forth. Find and rescue transporter XD143 and his cargo, investigate the Heggensmoen incident. Arrowkeys are used for movement and navigating menus. The x key is used for making choices, forwarding dialogue or interacting with stuff in the world. A is used to cancel choices. S opens the in-game menu. 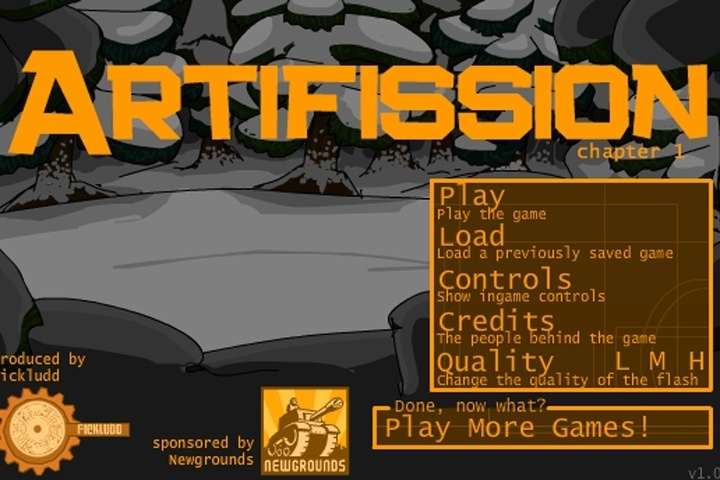 If you want to play Artifission RPG Chapter 1 games online you have come to the right place! GamesLoon adds new Artifission RPG Chapter 1 games every week. This is your game portal where you can find the biggest collection of free Artifission RPG Chapter 1 games online. Do not forget to rate our Artifission RPG Chapter 1 free online games while playing!